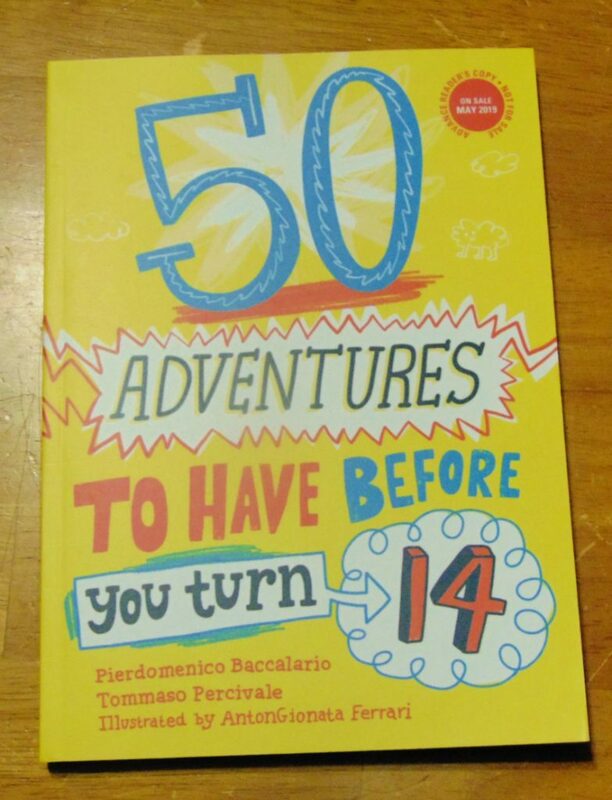 Just in time for summer, Pierdomenico Baccalario shows up with 50 Adventures to Have Before you turn 14. 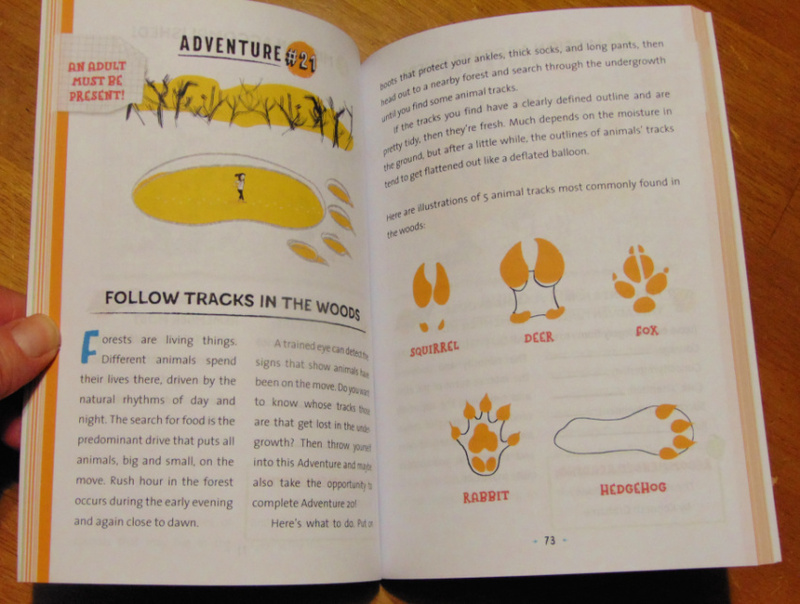 This easy to grab up book has 50 different adventures designed to fill a summer of fun for youth. I can’t wait to tell you all about it! 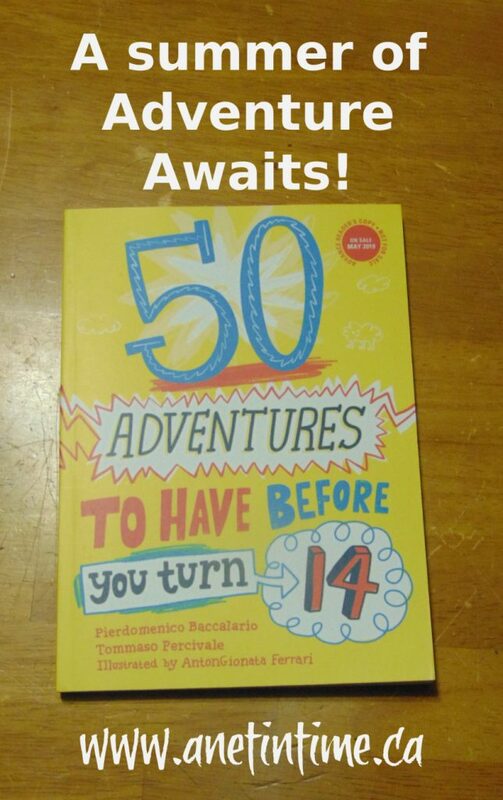 50 Adventures to Have Before you Turn 14. The excitement starts when you open the very first page. This book for a specific adventurer only, a place where they can record what they did, when and how. Everyone else either needs to get their own book or.. keep their hands off. 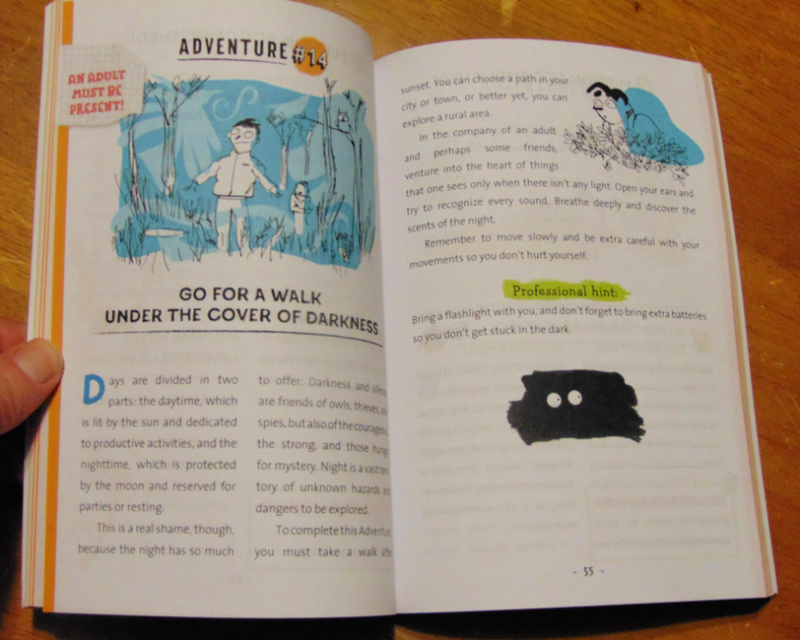 It comes complete with rules, contracts and helpful advice to get the daring adventurer on their way. Each adventure takes 3 pages. Two to explain the adventure and one to record what happened when you did it. The explanations include words of caution when needed (making a slingshot, mushrooms) and making note if parental supervision is advised. The explanation might simply be information about the night sky, animals that live in forests, or the history of kit flying. Materials needed and instructions are amply supplied. Learn photography skills taking pictures of plants and animals, develop wood working, outdoor skills, explore nature, the arts, and history. Fill your days with adventures at the beach, in the woods, visiting friends and playing games. Create a treasure hunt and stay up sun up til sun set. A list of all adventures is found at the close of the book, making it easy for the adventurer to find a new way to expand their horizons. This is a neat book. It would be so fun to hand to youth who, once the freedom of being out of school waned, says “I’m bored”. 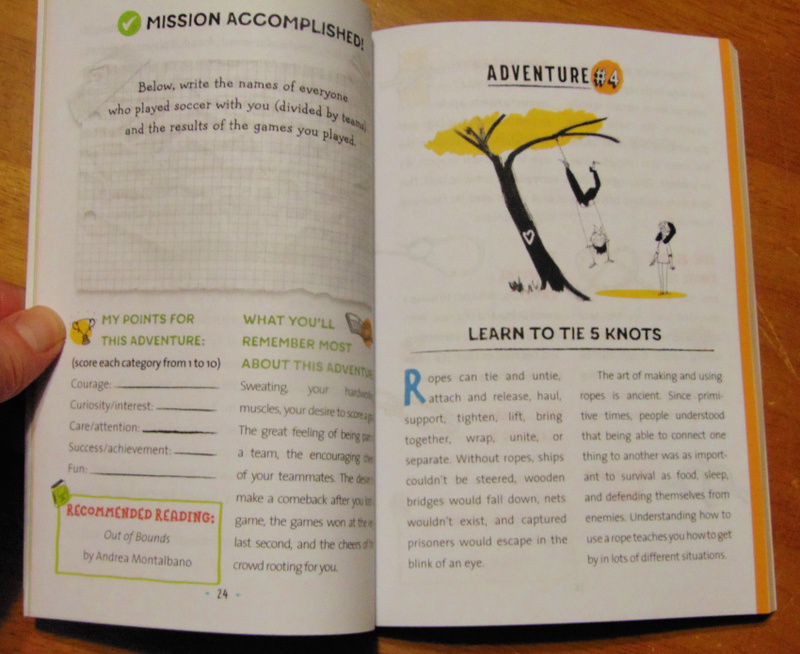 You could simply hand this book to them and say “get busy then, adventures await.”. Granted, some of them would require some assistance, such as going to a petting zoo or exploring an old ruin, but most of them require few ingredients and the willingness of adventurer to explore. 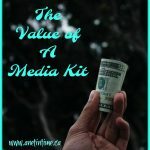 Many are what you might expect in a book of this sort, like exploring in the woods, making a time capsule, or flying a kit. I was delighted to see a few I didn’t expect like sleep in a scary place, identify mushrooms, secretly trail a friend, and inventing a magic potion. My son looked through this book (seeing in my stack of review books and thinking it looked interesting). “I like it mom, it has some good ideas in it.” He then mentioned an 11 year old friend saying he’d probably really like it. But the sledding adventure would require a field trip and that would be awesome! This sounds like a fabulous book and just the right amount of adventure and care and interest.